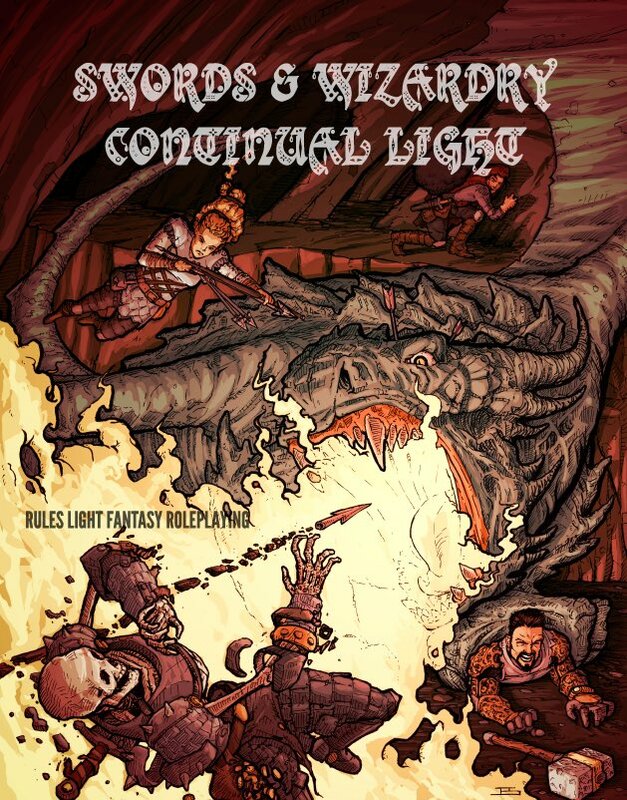 The price for Swords & Wizardry Continual Light in print is 7 bucks. If you have Amazon Prime, it ships free. There are about 5 blank pages at the end (minimum book size is 24 pages at CreateSpace) which will be offered, in the future, to third party publishers to freely advertise their support material for SWCL. Remember, you can grab SWCL at PWYW pricing at RPGNow. Ordered. Looking forward to seeing this in print. Perhaps a a fundraiser for the Tavern, you could use the back pages. For example, have artists do sketches, and/or people sign it. Take one to each Con you go to, have everyone you can sign it / sketch in it. Auction it off. Each one would be unique. Could raise some money for the Tavern or...? Ordered. Love the cover. Love all the S&W stuff coming out. Hello Erik, Zach and James. Ignore the Quid Nunc tag this is +jon salway from g+. I've just printed out my shiny new copy of SWCL, looked for a g+ community dedicated to SWL and SWCL only to find there isn't one! I'd like to set one up with your blessing (I know there's a facebook site but lots of us don't use facebook). If you're ok with that I can give all three, or some of you, moderator rights if you'd like. What d'ya think?